SEGA and Sumo Digital have revealed Team Vector and the all-new track Ice Mountain for Team Sonic Racing, content that, along with Team Rose, will be playable for the first time at Gamescom 2018 this week. 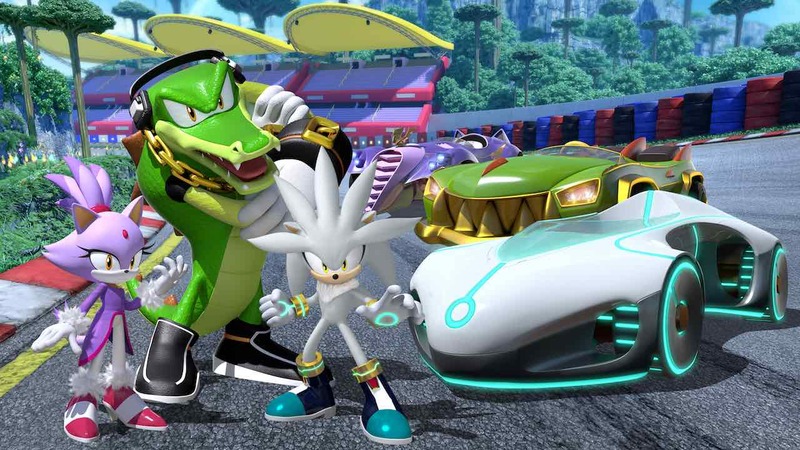 Vector the Crocodile, Blaze the Cat and Silver the Hedgehog are the characters that make-up Team Vector, three more racers that will have the chance to work as a team to compete when whipping around the blizzardy Ice Mountain track. You must race as a team to win, using team moves to help out your teammates, knock out opponents and to have the chance to unleash your Team Ultimate. With online multiplayer and local co-op modes, as many as 12 players can compete in Team Sonic Racing with up to four in split-screen – with online and offline modes to include Grand Prix Mode, Exhibition Mode, Time-Trial and Team Adventure Mode. Team Sonic Racing will release for Nintendo Switch worldwide this winter.